2017 was another phenomenal year for The GM’s Perspective. I want to thank all those who graciously took time out of their busy days to tell their story. The year kicked off speaking with a Manchild. 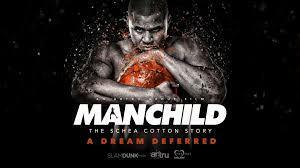 Schea Cotton was LeBron before there was LeBron. Featured in Sports Illustrated at the age of 15 is a feat above any other. Though Cotton never made it to the NBA, his knowledge of the game and its intricacies is how he can educate the next generation of hoopsters. Next was an interview with Grayson Boucher aka The Professor. 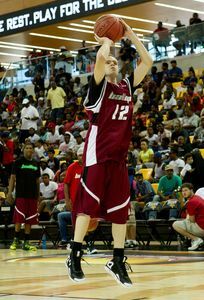 Undrafted and relatively unknown, Boucher became a instant phenomenon after being featured on AND1 Mixtape Volume 7. With moves that make people literally fall down, his ball handling skills have been seen worldwide. He’s one of the best in the world at what he does. When the words streetball and legend are mentioned, The Professor is always at the top of the list. Chris “The Crippler” Leben is a pioneer in Mixed Martial Arts. 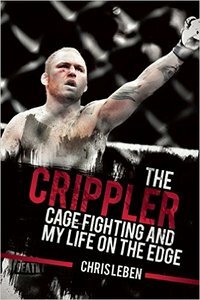 The Crippler was featured on the first season of UFC’s The Ultimate Fighter. Sharing a house with multiple UFC superstars (Forrest Griffin, Stephan Bonnar, Mike Swick, Josh Koscheck, Diego Sanchez, and Kenny Florian), we got a glimpse of their lives outside of the cage. Leben has battled addiction for many years, but with a new outlook on life, his story is one of redemption, not wins and losses. 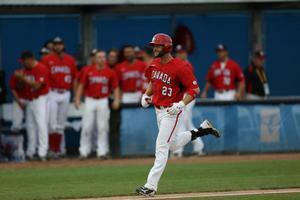 The GM’s Perspective’s second interview with Tosoni was a great touch base with one of Baseball Canada’s most decorated players. From rising through the minor league ranks to living out a dream at the Major League level with the Minnesota Twins, Tosoni’s story is one that every player can learn from. Regardless of what obstacles you’re faced with, if you perform to the best of your ability and block out all the noise, anything is possible. 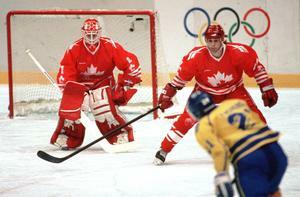 March:People remember Corey Hirsch as an All-Rookie team goalie and a silver medalist at the 1994 Olympics and bronze medalist at the 1995 World Championships. What the public didn’t realize or the people closest to him, was the daily conflict he was facing due to mental health struggles. Hirsch penned an emotional soul-bearing essay on The Player’s Tribune. To say it was dark is an understatement. To say there’s always a light at the end of the tunnel is 100 percent correct. Luke Zoesch is not a World Series champion. He’s not an NBA slam dunk winner. He’s not a Super Bowl MVP. He’s a gay man who found his way through self acceptance and valuing truth over anything else. Though we’ve never met, never spoke, and live in different countries, we spoke over the phone for roughly 30 minutes and it was as if we’ve been friends our whole life. After reading his story on Outsports I knew that this was more than just a recap of his life, it was a discussion about why authenticity and being genuine is more valuable than anything else. 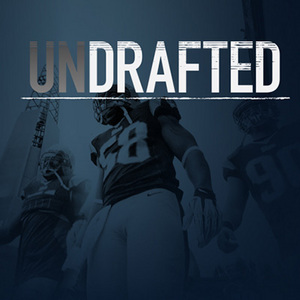 Chad Toocheck was featured on NFL’s Undrafted in 2015 and developed a cult following due to the insurmountable odds he faced to get a once in a lifetime opportunity in the NFL. To even get the chance to play collegiate athletics, Toocheck had to overcome years of addiction. Finally sober and not in the grips of drugs and alcohol, he signed a contract to play in the Arena League. Incredibly he fought through testicular cancer and still finds it within himself to help others not make the same mistakes he did. 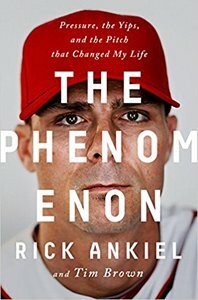 There is no one who has dealt with adversity on such a public stage as Rick Ankiel. Ankiel penned The Phenomenon with Tim Brown and it documented the rise, fall, and rise of one of most historic careers in baseball history. One of the most promising hurlers of his time lived up to expectations going 11-7 with a 3.50 ERA and a 194 strikeouts in 175 innings during his rookie season. Fate intervened and one wild pitch changed his life forever. With the expectations of the being the “next one” and managing through abuse (physical, personal), drugs, alcohol, and physical and mental performance, his story is a fascinating example of the human spirit. 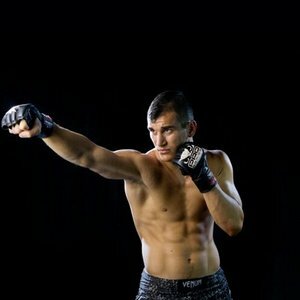 Natan Levy is a world renown mixed martial artist with international victories in tournaments all over the world (1st place-Gracie Worlds 2014, 3rd place-Israel National Jiu Jitsu Championship 2017, 1st place-ADCC Israel Submission grappling championship). Trained by some of the best minds in the sport, Levy is sure to be in the mix for a title shot in no time. Blake Gailen has put up some of the best minor league numbers of anyone. With 11 years of professional baseball under his belt, there’s no doubt Gailen has the talent to go to the next level. 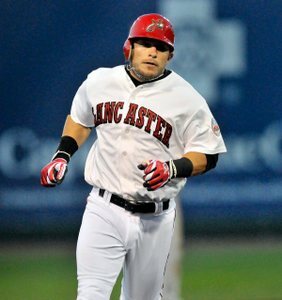 He’s signed five professional contracts out of Indy ball, the latest with the Los Angeles Dodgers where he hit .300 at the Double A level. The amount of dedication and heart shown by Gailen to persevere year after year is truly admirable and lesson to all those players with the dream of getting to the next level. The movie Concussion opened the eyes of people everywhere. Head injuries in contact sports are inevitable, especially in football where collisions are unavoidable. For the past few years, we’ve had some in depth conversations with the best minds when it comes to preventive measures on the football field. The Concussion Legacy Foundation, which “protects athletes and families through research, policy, and education”, just celebrated its 10th anniversary and is in its infancy in Canada. Recently they expanded in to Ottawa with the hope of going nationwide. Tony “Lightning” Luis is the current NABA-WBA Lightweight champion. Born and raised in Cornwall, Ontario, this champion boxer is destined for great things. With a record of 25 wins and only three losses, “Lightning” is at the top of his game. Years of training began at young age of seven and Luis has been successful at every level he’s fought at. No one has ever thought of Cornwall being a hotbed for boxing talent. Luis has ensured that when the gloves are laced up, it’s a championship calibre event every time. 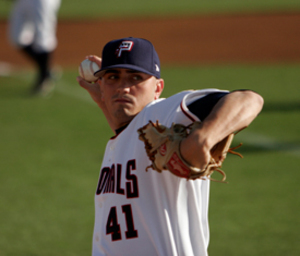 Terrence Engles most difficult opponent when he stepped on the mound was himself. 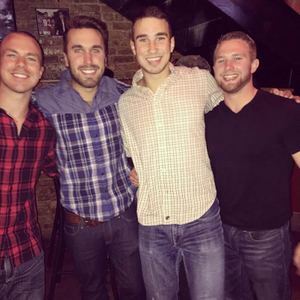 Minor league baseball is tough on its own, but when you’re dealing with addiction on top of that…Addiction not only influenced his play on the field, but his relationships off of it. Now working at American Addiction Centres, Engles can now help those who are confronting the same demons he was. Most people think the pinnacle is signing that professional contract, for Engles its his sobriety. This interview with Michael Landsberg very personal. For the first time, I was open and honest about my struggles with anxiety and depression. Trying to be the tough guy, I never thought that talking about mental health was what a man could/should do. I was wrong. By speaking to others about what your going through lets them know your #sicknotweak. 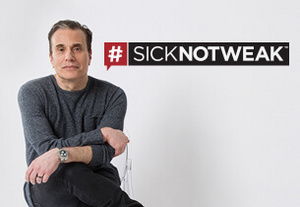 Landsberg, one of the most well-known personalities in Canadian broadcasting, has been an advocate of mental health for years. His website #sicknotweak is a forum those battling depression; a way to help both sufferers and the people who care about them. Thank you Michael Landsberg for everything you do. Zeke Pike had it all and the pedigree to back it up. With multiple scholarship offers and being touted as the successor to Cam Newton at Auburn, nothing could get in his way. Unfortunately, a combination of events resulting from drug and alcohol abuse turned the can’t miss prospect into a player looking for a team. A stint in prison changed his life forever. Pike is now running Number8Ministries with the goal of positively influencing the lives of people of all ages and gives them the courage to overcome their own personal struggles. Myles “Fury” Jury is one of the best fighters in the world today. 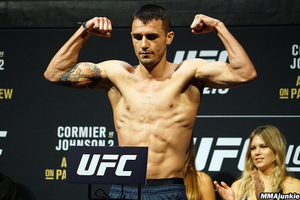 He’s ranked 14th in the UFC’s Featherweight division and is currently scheduled to take on Rick Glenn, the former World Series of Fighting Champion (WSOF) in Las Vegas at UFC 219. I’ve had the privilege of speaking with Jury multiple times now and each time he never ceases to amaze. Never complacent, Jury trains with the best in the world and works with future Hall of Famers. Jury has overcome injuries that would have stopped anyone else and is a prime example of someone who won’t let anything get in the way of his dreams. Social media is an amazing thing. Through Instagram, I was able to connect with Insight The Truncator, a MC / DJ / Producer who knows the inner workings of the music industry. He’s been doing this for over 20 years and continues to change the game while staying true to his style. His proactive approach digital media and technology has made him a game changer. This really was one of the most educational interviews I’ve done.